Who doesn’t love a good post-apocalyptic nightmare? Well, I guess it depends on how imminent it feels. As jarring as speculative science fiction may be, I like how it makes you think. 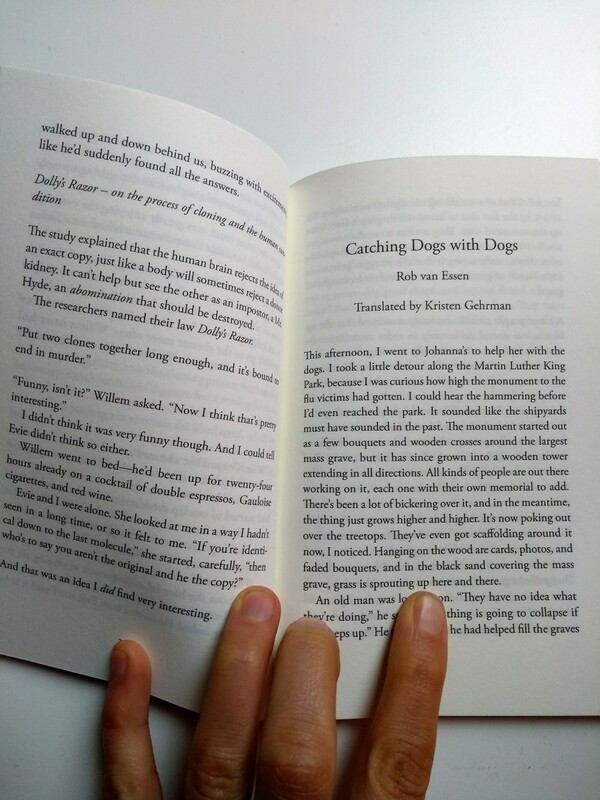 I had the pleasure of translating Catching Dogs with Dogs by contemporary Dutch science fiction author Rob van Essen for the literary magazine 2.3.74. You can read my translation here! While flu shoot frenzy is an inescapable part of winter in the United States, usually only the elderly get vaccinated in the Netherlands. This story takes place in Amsterdam in the aftermath of a vicious flu epidemic that has wiped out almost the entire population. Abandoned dogs roam the streets. Of the very few survivors, most are elderly, making them the most hated demographic group. 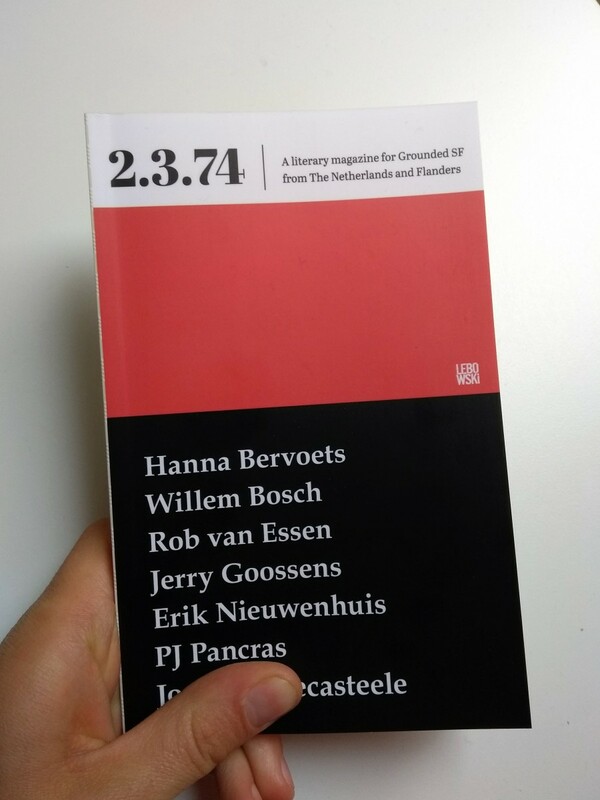 Literary magazine 2.3.74 is a new project by Lebowski publishers to promote contemporary Dutch science fiction– not the spaceship, Star Trek type, but the more real, could-this-really-happen type. The Grounded SF in 2.3.74 is the kind of writing that makes you contemplate the decisions we are making now and the impact they will have on the future. You can read more fantastic translations online here. Kristen, c’est un plaisir de travailler avec toi... Tes recherches sont toujours minutieuses et perspicaces, et tes vérifications d’informations toujours pertinentes. Ton écriture est claire, concise et pleine de sens. [Kristen] n’est pas seulement dotée de compétences réelles en traduction du français vers l’anglais et d’une connaissance très fine des deux langues, accompagnée d’une démarche réflexive concernant la traductologie et les sciences du langage, mais qu’elle a le sens du travail collectif. Kristen's translation skills are outstanding...In addition to her knowledge of the language, she also possesses a profound knowledge of the culture. Kristen's copywriting style is light, quirky and to-the-point. Ik heb de afgelopen maanden regelmatig samengewerkt met editor en vertaler Kristen Gehrman. Zij heeft met haar scherpe kritische blik mijn teksten en verhalen naar een hoger niveau getild. Je vous remercie pour les traductions de mes articles. A chaque fois, je suis très satisfait de votre subtilité linguistique, votre professionnalisme et votre rapidité du service. I have asked Kristen to check my work and I must say the result is impressive! Both corrections and the service have been done in a professional manner... Kristen has been very flexible, truly adapting to my own work rhythm. Kristen is an extremely professional, competent and helpful proof-reader. I warmly recommend her. Kristen edited a very important paper for me and I was highly content with her work. She was quick and knew how to fit her corrections into my style of writing. Madame Gehrman a fourni d’excellentes prestations... dépassant ainsi en tous points nos exigences et nos attentes. Extrêmement efficace et d’une grande autonomie, nous tenons de surcroît à souligner son sens aigu des responsabilités, son professionnalisme et sa rapidité d’exécution. "Kristen was highly professional, very communicative and flexible concerning meetings, agendas and the logistics of translating texts....she has developed a high level of vocabulary in the professional field of architecture, urbanism and landscape architecture."